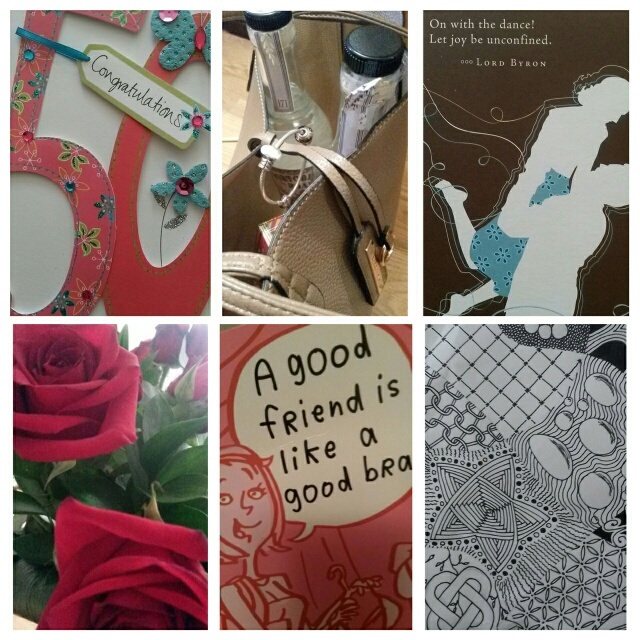 This past week marked the end of my fiftieth year on this earth. A journey that has taken me from a small village in Germany to South Africa, Namibia, South Korea, Indonesia, the US, South Africa again, Australia and back to South Africa. The last few years I find myself in London with an ever growing diverse career, more work travel than I could have imagined, a dissolved marriage, deep joy in watching my children grow into wonderful young adults, and the safe harbour and passion of an all enveloping love. It has been a life long journey back to myself and my own heart. A warning though – If you are averse to strangely introspective posts, expect rationality in life at all times, and are deeply mistrustful of the gift of intuition or of the mysterious, I suggest you stop reading now. There have been many surprises and curiosities along this journey. My greatest re-discovery recently has been the gift of friendships, and specifically of female friendships, and of being able to shift my perspective toward gratitude for the positive values and gifts that have been present throughout my life, but I have not been able to see or label as such. Somehow growing up I felt an internal survival sense that I needed to be strong, forceful, assertive and anything less was not valued. Perhaps it had something to do with having two older brothers and growing up surrounded by boys. I could climb trees and cliffs with the best of them, often better and I could run fast, it was not so easy to catch me. I did not easily succeed at being a boy though – all my brothers had to do was dunk me in the pool and I gave up. I also loved playing with all the girlie things at my friend’s house – trying on the dresses of her older sisters and playing with barbie dolls, something that was not approved of at home. The feminine at my home had more to do with being of service to patriarchy – even if it was not understood as such – cooking magnificently, keeping a well kept house, being well mannered and looking presentable at all times. Much to my mother’s dismay I did not always succeed very well in the looking feminine department. She had fabulous taste. I rebelled internally against the perceived weakness and tears of my mother, but was not sure how to always be resilient against the labile forcefulness of my father and brother. A few years ago I visited my son at school in New Mexico along the southern tip of the Sangre de Cristo mountains. It was a precious few days seeing where he was, meeting his friends, and exploring with him a little of the area. On the last morning I spent some time in the small meditation sanctuary on campus and found myself part of a group of women who met early every Sunday for a Divine Mother Earth session. Something I had never experienced but was not about to miss being a part of once invited. Each one of the group took turns at leading and this morning it was the turn of a woman who had brought angel cards to share. After some meditation, singing, chanting, and chocolate eating – which all women’s meetings should include – a pack of cards was handed around the circle and everyone chose one. There were seven of us. The cards drawn were body care, intuition and integrity, enchantment, power, divine guidance, support and serenity – in that order. My own card was that of divine guidance. The whole circle was anchored by a woman who reminded me strongly of another woman at that time in my life that I was fearful of, but sitting in the circle I was able to work with my understanding of this relationship and my own impact on this other woman, and realised how we both were reacting from positions of deep vulnerability. By inviting her vulnerability, as well as my own, into the circle, I was able to transform my understanding of the relationship and ground my capacity to be fully present in the circle with these women that day. The angel reader shared with me that the angel card of divine guidance was about trusting one’s own intuition and inner knowing whilst also strongly paying attention to the other cards that had been drawn in the circle, especially those to the left and right of me – power and support. The power card invites trust in one’s own capacities of strength and presence, and to stand firm and powerful in that knowing. The support card invited accepting support from family and community, both past and present, in order to be able to receive fully that which is already here. The other cards invoked playfulness and childlike wonder with the enchantment card, care of self with the body care card, letting go of what does not support one’s positive strengths and personal integrity with the integrity card, and an offering of opening to stillness and peace into one’s life and those close to us with the serenity card. Intuition, inner knowing, trusting myself, standing firm in what I know and who I am, giving and receiving support from those close to me, being playful and light hearted, taking care of myself, being positive with integrity, and allowing greater stillness to permeate my being – all themes I was working with at that very moment of my life. How synchronous and timeous this circle. Now I am not sure I believe in angels, or even in any particular god for that matter. I have lived in too many diverse places, with diverse cultures, met too many good caring people who adhere to many different religions, as well as known unkind hateful harmful people associated with that of my own childhood religion, to be certain about one true knowing. But I believe in mystery and virtues and a divinity that guides all of us from the inside out. I believe that there may be more to this world than we understand and that some things are worth paying attention to, even as we may feel they are less worthy of our attention or care; that being open and curious and having a kindly receptivity to all that unfolds for us is a passionate positive way of engaging with what comes our way. What I felt very strongly sitting in that circle that morning was that here were some very beautiful, intuitive and grounded women who were willing to allow themselves be their own guides. And that they were supporting each other in this journey, and had invited me a complete stranger to join them. For too many years I have felt I had been fighting the male establishment of patriarchy in my personal, home, work, family, political, social, cultural, and economic life. Perhaps it was time to let go of the fight. Perhaps there was not even fight. Perhaps it was just my own perception and perspective, and it was keeping me stuck in a very old loop. Perhaps this circle and these women and their angels were inviting me to recognise my own oppressive patriarchy and allow the divine feminine in me to show up and be known. In some small way that circle marked a turning point for me. Beyond that moment I chose to show up and be present, to respond to what my heart attaches meaning to, to tell my truth as best I could, and let go of any perception I may have of how the outcome should be. Indeed let go of the fear of hurting others by following my own heart. What I have learnt is that there is no easy way around hurting others at times through simple being oneself when they are attached to a view that is different, but that one can continue to show up and be kind and be present and speak from the heart. Somehow that journey has allowed me to connect now with more sisters and girlfriends, and even mothers and daughters, past and present that I could ever have imagined. Even re-connect with my own mother though she is long gone. Almost as if all our angels are in community too. I find myself fully embedded in and grateful for a community of women, connected strongly to my own being, and feel completely at home within my intuitive feminine heart. It it like I have finally come home at fifty. This entry was posted in life and tagged angels, feminine, fifty, friendships, heart, life, love, the divine. Bookmark the permalink. What a beautiful reflection on your 50 years Trish. It was meant to be I found my way here to your writings. You have such a gift. Your gift of heart. I remember you mentioning your blog a few months ago and it’s only now I have come to it through this entry through the facebook link. How rich and wonderful your writings and musings are. For me this is so relevant on many levels. Turning 50 is one but the other is the gift of the feminine and the importance of women coming together and sitting in circles as their mothers and grandmothers have done through eyons of time. Thank you for this post as it gives voice to my dream, my new venture of facilitating/leading women’s circles. “circles of joy”, “circles of discernment”……the place where women will come together and sit with the divine feminine. Thanks Tan. May we have many more years of sitting in circle with one another.